We are proud to be the official host for The 4th Annual NBC National Conference. This will be a 4 day action packed event filled with cycling information, seminars, great food, clubs and riders from around the country and fantastic rides. This years theme will be "Building a Global Cycling Community". It is our goal to bring together our urban cycling communities to learn, ride and share stories. 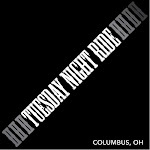 Columbus, Ohio is the oldest Major Taylor Cycling Club in the country and we feature the longest bicycling trail dedicated to The Major in the world!